At Chapel, High School includes grades 7th through 12th. Students in grades 7th to 10th grades follow a program that will set foundational knowledge for future disciplines. Science and Mathematics are taught within curriculum that is spiralled and builds meaningful and memorable learning. As students move through grades, the content becomes deeper and more complex. Beginning in the 9th grade, students are able to choose elective subjects that are offered during one or two semesters. Students follow a diverse and rigorous curriculum, and only in the last two years - 11th and 12th grades - participate in the International Baccalaureate program. The International Baccalaureate, known as IB, was founded in 1968 as a non- profit educational foundation. 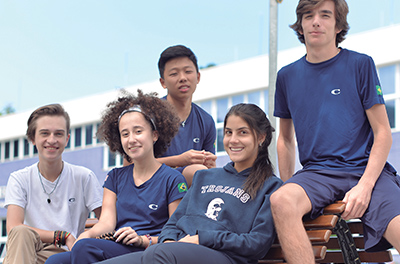 Chapel School was the first educational institution in Brazil to implement the IB program in 1980. 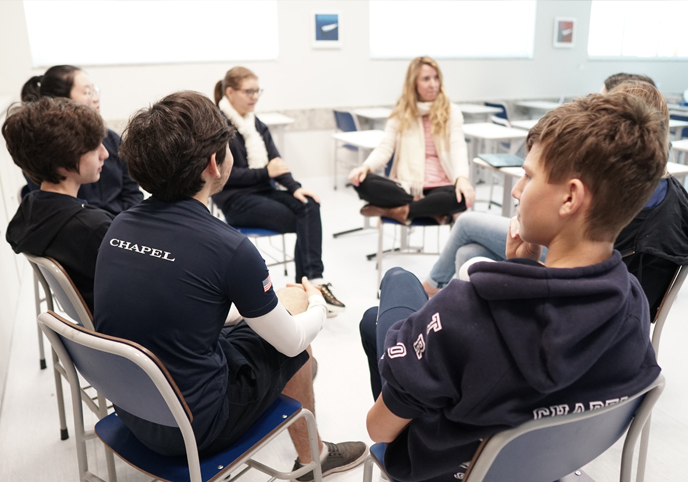 The mission of the IB program, “to develop critical, knowledgeable and caring young people who help to create a better and more peaceful world through intercultural understanding and respect,” is perfectly aligned with the Chapel School Mission. Here, students are prepared to face challenges, discover learning, gain a sense of identity and culture, as well as learn to communicate with people of diverse backgrounds and experiences. All students in the 11th and 12th grades at Chapel follow the IB curriculum and can obtain the diploma by completing program requirements. Chapel is one of the few schools in the world that offers and encourages all students to be a part of the IB program, as Chapel believes that all students will benefit from it and be better prepared for the top undergraduate programs around the world. In order for this to happen, Chapel provides strong support services for all students to succeed in the IB. In addition to the traditional subjects, there are three compulsory core components to obtain the IB diploma: the Extended Essay, Creativity, Activity and Service hours, and the course Theory of Knowledge. Students are expected to deliver an Extended Essay, developed under the guidance of an advisor, and complete 3 hours of extracurricular activity weekly to instill creativity, activity, and community service (CAS). In addition, students must take the Theory of Knowledge course (TOK) for three semesters. TOK is the study of the different ways of learning, the basis of knowledge, and how this knowledge permeates the various areas of knowledge. The course examines all curricular subjects through inquiry, stimulating critical thinking so that students can understand how knowledge is created and developed. 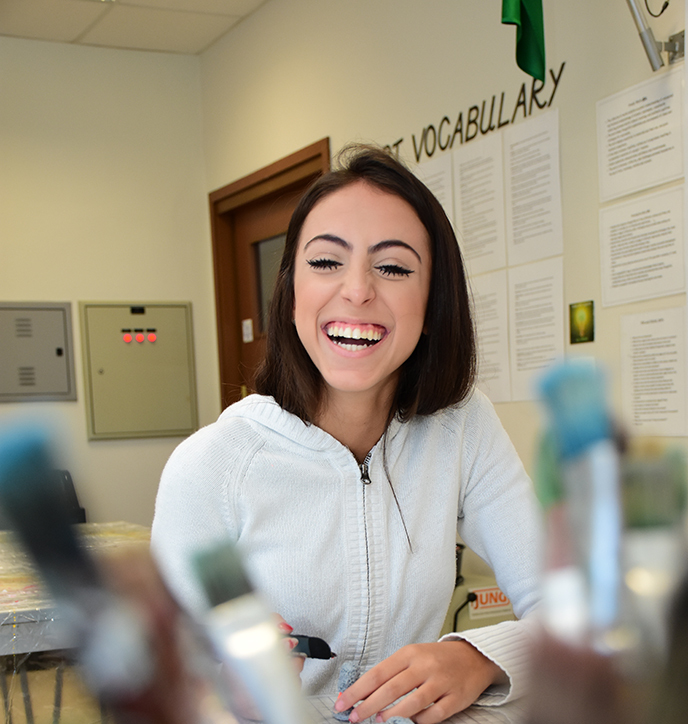 The IB Diploma is recognized for its excellence by several Brazilian, American, and European universities in more than 140 countries around the world, on all continents. Students who obtain high scores on IB exams may receive university credit, particularly at American universities. 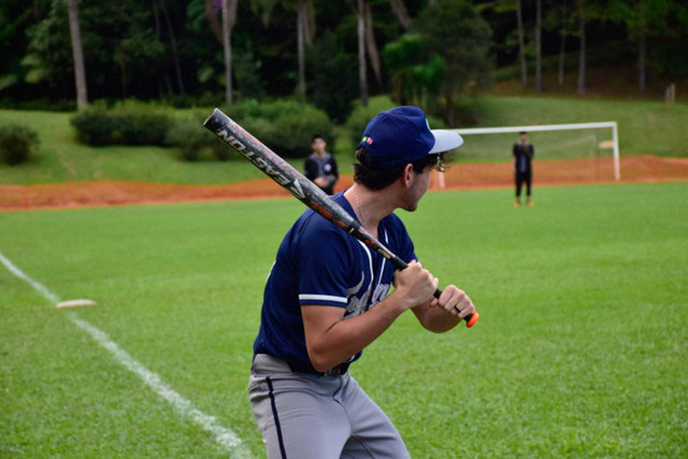 In recent years, several Brazilian universities, such as ESPM (Escola Superior de Propaganda e Marketing), FIA (Fundação Instituto de Administração), FAAP (Fundação Armando Alvares) Penteado, and FGV (Fundação Getúlio Vargas) have started to accept IB scores as part of the selection process for admission to their undergraduate courses. The development of multiculturalism depends to a large extent on a person's ability to understand and communicate well. At Chapel, the languages of instruction – English and Portuguese – the languages of acquisition – Spanish and French – and other mother tongues that students use socially can be heard on a daily basis. The linguistic development of the students does not only occur in English and Portuguese language classes. They can also develop and practice their language skills in the following elective courses starting in 9th grade: Publications, Broadcast Journalism, French, and Spanish. In high school Physical Education Classes are taught from 7th to 10th grades. Additionally, 7th graders take a Health Education course, which aims to promote wellness by exploring subjects relevant to the adolescent universe. Some subjects discussed with students in this course are eating disorders, self-esteem, fitness, drugs and alcohol as well as basic first aid skills. 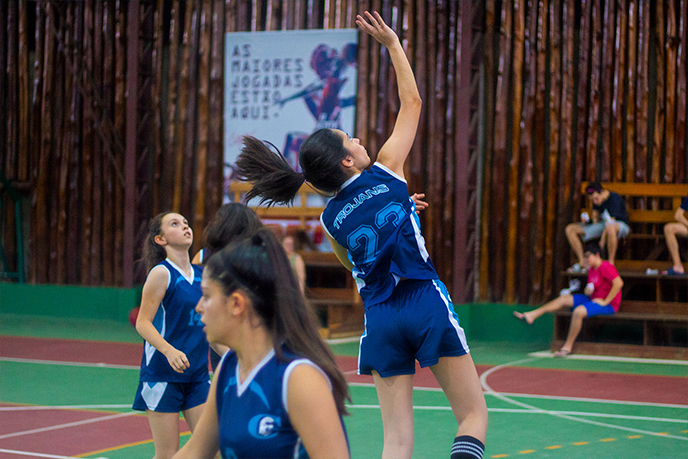 In the 11th and 12th grades students follow an Independent Studies format for Physical Education. This allows students to choose physical activities of their preference which can be done either at Chapel or elsewhere. These hours are documented and then translate to credits for the completion of the requirement. The foundational content is taught in Integrated Mathematics from Grades 7 to 10. 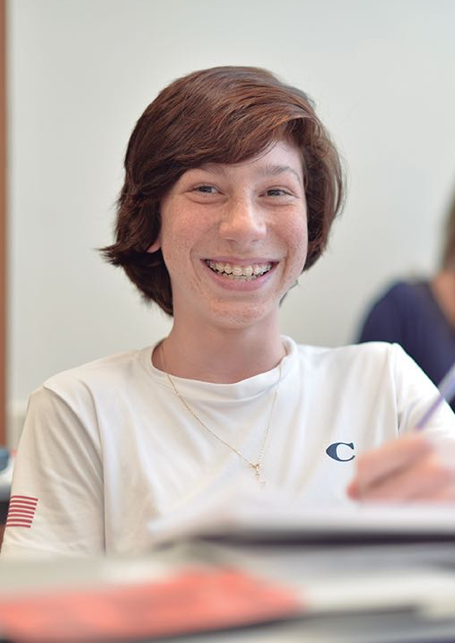 In Grades 11 and 12, IB students choose from two Math courses depending on their interests. Visual Arts instruction is part of the curriculum from 7th grade to 10th grade. Subsequently, in grades 11 and 12, students may choose to take IB Art to compose their IB diploma. In Music, the main goal is for students to take part in a musical journey throughout history and its implications in modern life. Students apply their musicality to become able to increase their performance skills and artistic acumen. The students take a year of music classes in grades 7 and 8 and continue to apply and expand their musical knowledge during high school in class projects and presentations for the whole school (during Masses, International Festival, and other school events, for example). Foreign language courses are structured into a four-year program. 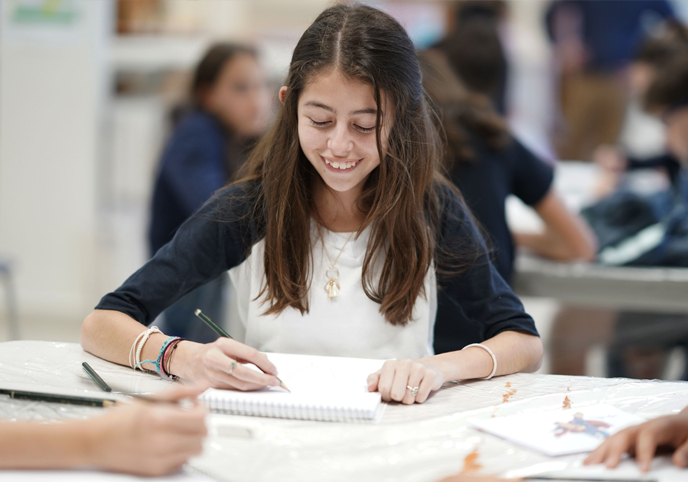 The initial two years (grades 9 and 10) lead up to IB’s foreign language program, which requires students to master the language at an intermediate level. From grades 7 to 10 students study the following themes, respectively: Hebrew Scriptures, Christian Scriptures, Church History, and Morality. In the final two years, students study World Religions. In grades 7 to 10, students study General History, Comparative Government,, United States History, History of Brazil, and Brazilian Geography. In grades 11 and 12, IB subjects offered are: History, Geography, Brazilian Social Studies, and Information Technology in a Global Society. The foundational content is taught in Integrated Sciences from grades 7 to 10. In grades 11 and 12, students choose from the three natural sciences, each offered at two different levels: IB Biology, IB Chemistry and IB Physics. Each science is offered at the Standard and Higher Level. High school students develop scientific experiments stemming from personal interests and curiosities to participate in a competition that rewards student work that best illustrates scientific learning.